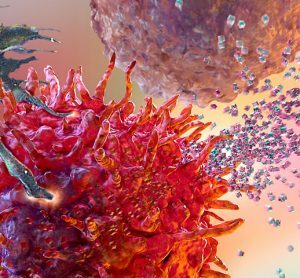 Because regulatory agencies are concerned about sub-visible particles causing undesired side effects and reduced efficacy, they want them to be well-characterized in biopharmaceutical formulations. But as their name implies, doing that can sometimes be a challenge! 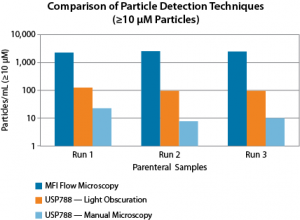 The MFI™ 5000 Series of imaging-based particle counters let you address the FDA’s requirement to characterize and quantify aggregates and particulates in biotherapeutics. 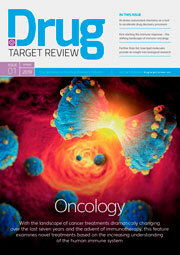 Because they give you really accurate, precise and reproducible results, you’ll also be able to optimize and monitor your formulations using all kinds of unique characterization metrics. And when it’s time to scale up for routine testing, the Bot1 Autosampler lets you do just that. 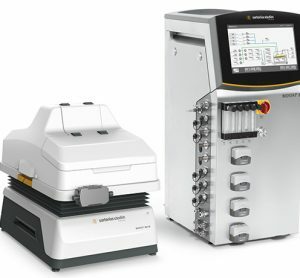 Add it to your system and you’ll have the only automated particle analysis platform available today. 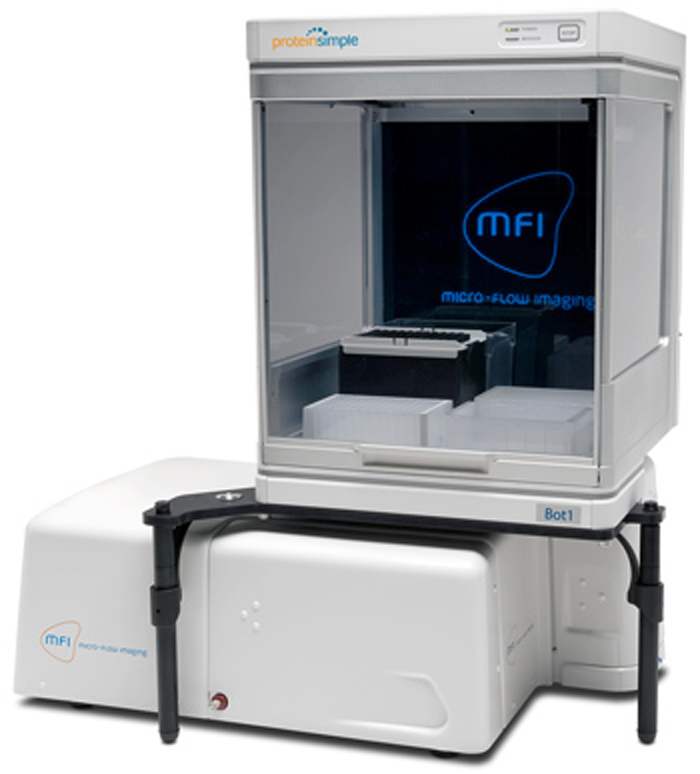 Bot1 handles sample loading, washing, and rinsing on up to 90 samples and boosts your overall standardization in the process—and you can add one to your MFI 5000 Series any time! 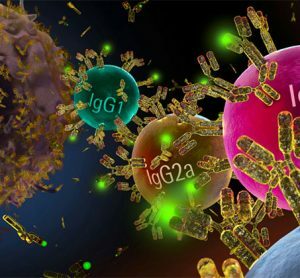 Up until now, detecting and counting sub-visible protein aggregates in biopharmaceuticals hasn’t been easy or all that informative. Traditional particle counters only give you particle size and/or particle concentration measurements by light scattering, light obscuration, size exclusion chromatography or other indirect methods—so they often miss sub-visible particles. FIGURE 1. MFI can detect more sub-visible particles compared to pharmacopeial methods such as Light Obscuration and Manual Microscopy. 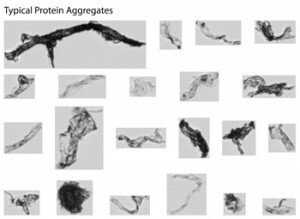 Because MFI’s novel imaging technology is more sensitive, it can see the translucent protein particles that these older methods can miss. MFI gives you particle images so you’ll have data on their shape too. 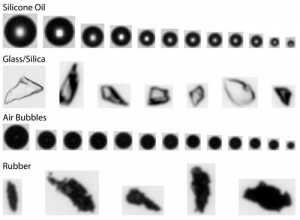 Combine that morphology with size, count and image intensity and you’ve got the ideal method to classify particles by type. You just can’t get this kind of info from size and count measurements alone, and that’s all light obscuration and coulter counters provide. With morphology and image intensity, you’ll know in an instant if your particles are very distinct from each other. 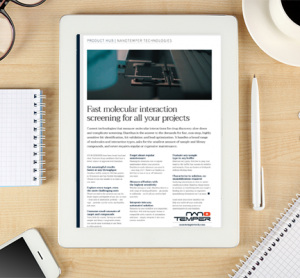 And only MFI lets you evaluate the source of particle contaminants, and use their physical structure to isolate the different sub-populations in your protein therapeutics. That comes in really handy when you’re trying to monitor changes in common particles types like silicone oil, protein aggregates and who knows what else! FIGURE 2. MFI’s ability to detect particle morphology and image intensity in addition to size and count lets you classify particles into their sub-groups. Other particle analyzers that offer only particle size and count can’t do this. Particle classification gives you essential information on the quality of your product, which means you can now monitor changes in these particle groups at any point during development and manufacturing. 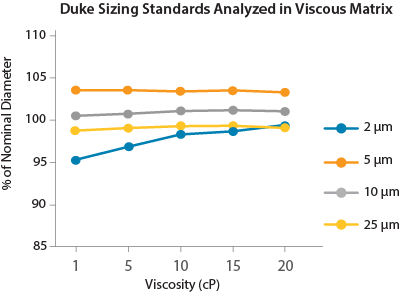 Many protein therapeutics today are viscous due to high protein concentrations or stabilizing additives. 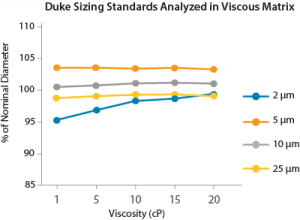 Particle analysis methods like light obscuration require dilution plus a time-consuming validation of that dilution’s impact, but you don’t have to do either with MFI! 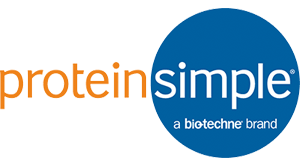 In fact, many industry publications and Protein Simple application notes show that MFI is a proven method for the wide variety of samples you’ll encounter—from low to high volumes, concentrated to dilute proteins and peptide formulations.